Add Graviola to your Favourite Herbs list. 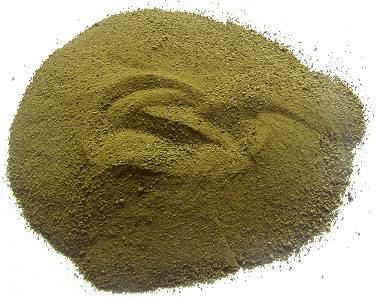 Our Graviola is powdered from pure Annona muricata Leaf without fillers, preservatives or additives and is freshly encapsulated for you at order or packaged as loose powder: the choice is yours. 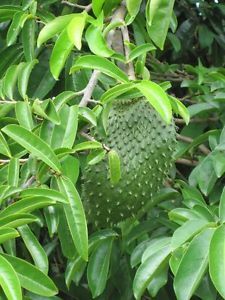 Graviola Leaf is traditionally considered by Herbalists to be cool and drying and has been a popular herb in the West Indies and South America for culinary, cosmetic and health use. After having a cancer removed I was in a lot of pain and the specialist said nothing more he could do. I was told about Graviola and the pain not only has gone I have very little scarring. Blood pressure is way lower too. I started using this product after having thyroid cancer. I have never felt better. My blood pressure is down and I have less pain from arthritis. Can't recommend it enough. Also have husband taking it. (prostrate cancer) great improvement. I have read scientific publications about the virtues and benefits of graviola to reduce cancer cells. So I have my hopes high to prevent a potential uterine cancer and avoid a total hysterectomy recommended by the specialist. The product is easy to swallow and had no side effects. Bought Graviola for a friend with bone cancer. Working well in that his # ??? has decreased. Not sure what does (rate) he is taking. Time is too short to give a deffinate review. If I know that that what I'm taking is made with the best quality processes, then I'm reassured. This herb is good for my immunity and it's a herb from God's Garden which may help with my stage iv cancer. I am 'Non Small Cell Lung Cancer' patient which is a shock to me, being a life long NON SMOKER. I am Stage IV Terminal. Someone told me about Graviola and I began using the other Graviola 10:2 from April 2014, and now this Graviola since the other one was discontinued. I take 4 capsules before meals twice a day. I have had one result of a CT Scan where the tumours showed signs of shrinkage. And while the latest result was that there is new growth in the right lung, I feel very good considering the result. My pain is diminished. I have energy to still live alone and be independent. I really do believe this product is helping me to maintain quality of life now. I do believe it is helping slow the growth and reduce the growth of cancer in the other parts of my body that has tumours (as these have now gone or shrunk), even though there is new growth of a small size in the right lung. I do believe this product is helping slow the cancer and that without it, my results may very well have been a lot worse. I won't stop using the Graviola. Last year I was diaognosed with terminal bile duct cancer which has a slighly better prognosis that Pancreatic Cancer, 40% chance of living 5 years. My tumor was removed in November 2013, I returned home in December and I started taking Graviola in January 2014, after it was recommended by another cancer patient who was in complete remission without surgery. I had my second scan last week and right now there is no sign of the Cancer in my body, and my cancer count results are also good. I take 4 Graviola capsules and 2 graviola 10:1 capsules every day, and will continue to do so for the rest of my life, along with my now healthier lifestyle, other alternate herbs and family support I will be one of the 40 in a 100 . I must add that the Herbosophy team has provided me with excellent service plus with a decreased price for the product due to my life threatening illness a gesture I am also most greatful for. I have terminal small cell lung cancer and they say that there isnt much more they can do for me so i thought I would give this a go. No scan done yet but so far so good. Pain has been less, I am able to do more not a lot more but my energy and general health seems to have improved. Delivery of this product was fast and effective. I have been taking it now for just on 10 days and I do feel better. We will wait till the scan comes through and see if it is making a difference to the tumour. I brought this product - also known as Sour Sop because of the great healing properties that it has. Many articles on this can be found online. If you are interested Google it. Anyone who has cancer or abnormal cells should look into this product. I have found on taking this product that my energy and general health has improved. currently i am taking Graviola,apricot kernels,3.5 grammes of Vit C, smaller amounts of other herbs in pill form plus Hydrogen Peroxide and a wide range of nutrients and alkalising foods. i have also taken Agaricus blazei mushroom. i look and feel super healthy, my liver is metabolising my heart medication so effectively i have needed to increase the dosaeage by 50%. best news is that 2 large solar keratoses have gone completely with one and reduced to a bit of scar tissue for the other.